Day by day, android or iPhone app developers are struggling hard enough to build amazing mobile apps for their users but this remains incomplete if they do not provide the accessibility approaches to their mobile applications. There are many millions of smartphone users worldwide who have some sort of disability, such as limited vision, partial hearing loss, or difficulty with fine motor control. 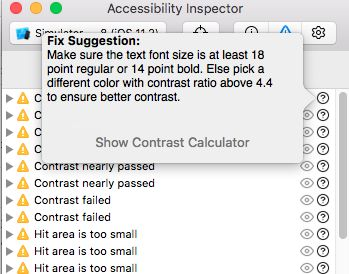 If you don’t consider the accessibility implications of your iOS app and UI design, you’ll miss the chance for them to benefit from your iPhone app. Apple is committed to making their products available to every user, and has provided developers with a plethora of tools to help make this possible. 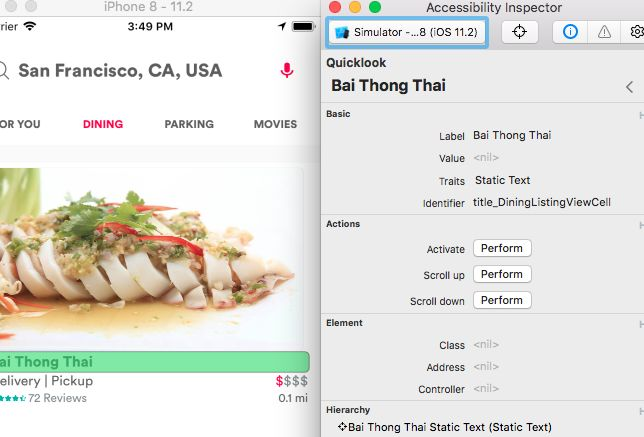 One of these tools is the Accessibility Inspector, which is used in custom iPhone app development to show the attributes of elements displayed on a screen. It lets you access each and every IBOutlets, components etc where you can determine their accessibility and add the accessibility approach for those which are missing. It is one of the good practices for mobile app developers. 1. 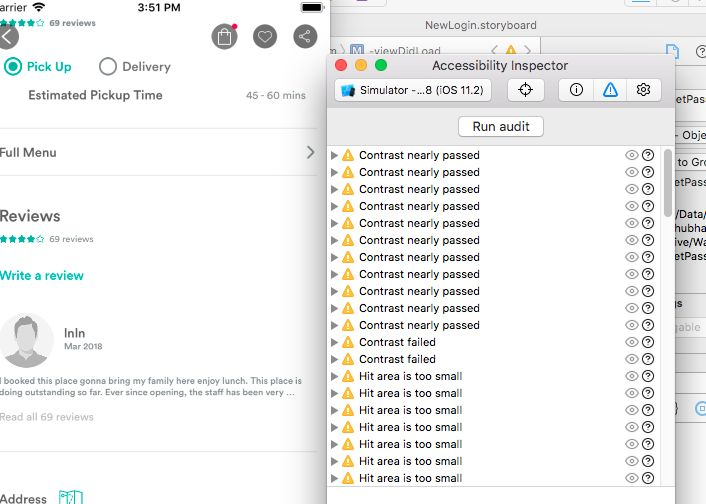 Open the Xcode Terminal -> Open Developer Tool -> Accessibility Identifier. You will find a pop up something like this. 2. You can set the Permissions of Accessibility Identifier. the apps, so hit the plus button and search for it. 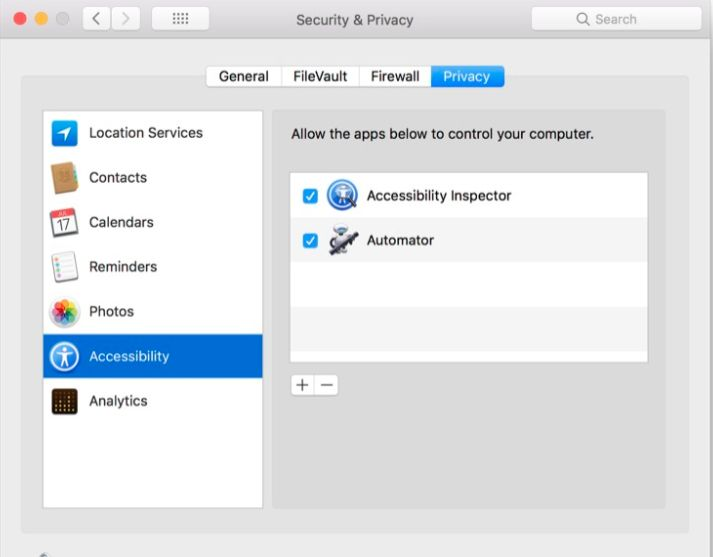 The accessibility is now allotted to Mac. 3. As soon as you run the program when you hit on the target option of the popUp, you will get the option to choose your Project simulator. You get to see a screen like this as you set the target on running the project. The below diagram shows what each term means. 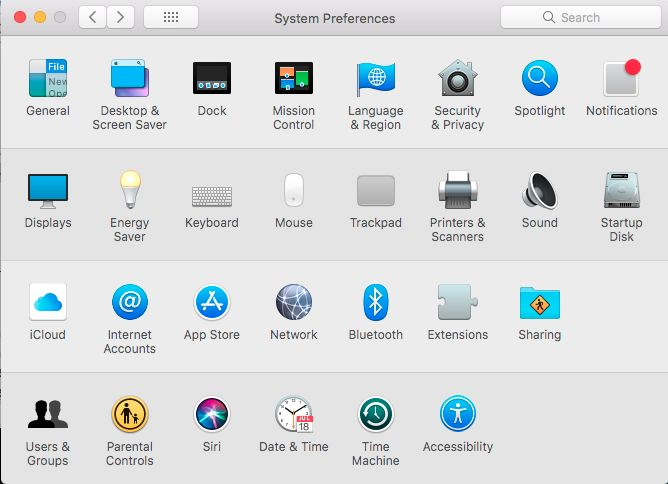 Make sure your development Mac is selected along with the Finder in the Target Selector. Tap the Inspection Pointer icon so that it turns blue, and now you’re ready to start inspecting. Tap the Inspection Pointer icon so that it turns blue, and now you’re ready to start inspecting. 5. You will have to add the accessibility Identifiers and name them according to you in your Project programmatically in this format. You can create a function inside which you can add the identifiers. And then call it inside your ViewDidLoad function. Basic: Displays the attribute properties for the currently highlighted element. 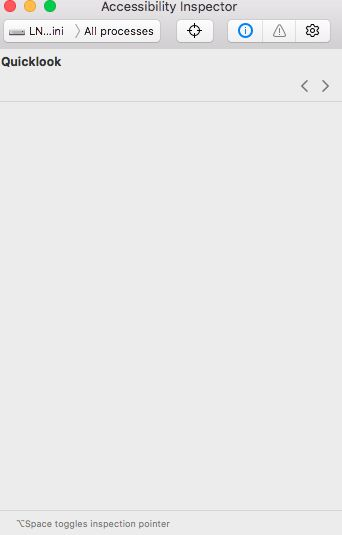 Actions: Lets you perform actions, such as tapping a button or scrolling the view. Pressing the Perform button in this pane will perform the action on your target. Element: Displays the Class, Address, and Controller of the current item. As of this writing, it doesn’t seem to work consistently. Hierarchy: Displays the view hierarchy for the element, making it easier to understand complex view hierarchies. Make sure the simulator is still running and you’re on the recipe list. 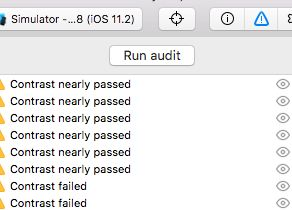 In the inspector, click on the Audit icon and hit Run audit. You will immediately notice that the inspector has found some elements that lack description. When you click a warning, the related element will be highlighted on the simulator. On clicking the question mark (?) for one of the warnings, the inspector gives you suggestions how to fix the issue. You’ll act on this suggestion in just a bit. 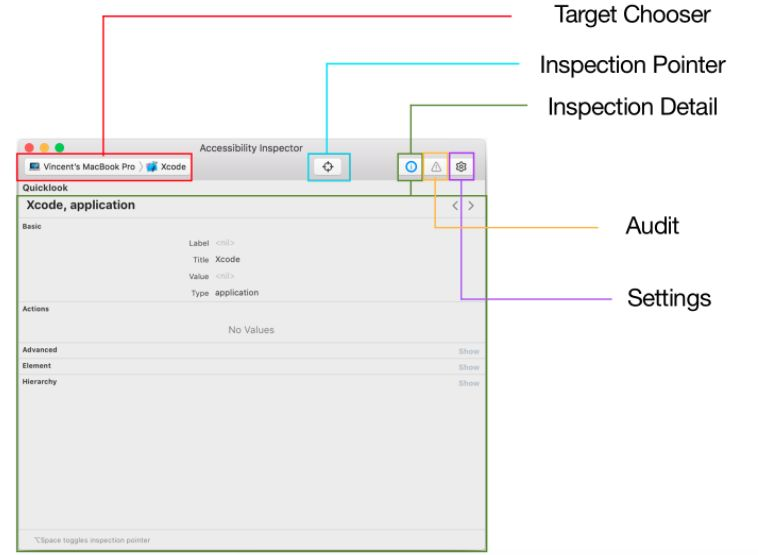 On clicking the eye icon you will get a snapshot of the app for creation of accurate bugs leading to quality assurance. You will no more have to go to Settings app to enable these features. 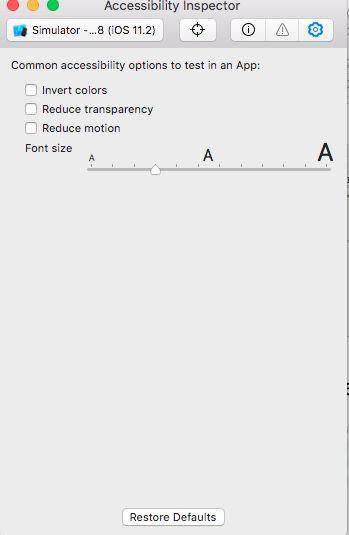 The Accessibility Inspector is currently limited to these four options looking forward for the addition of more features by Apple. 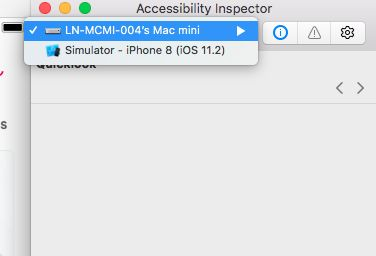 There are many iPhone app developers who are not acquainted with this term “Accessibility Identifier” but it is one of the most powerful tools for making the elements easily accessible and used by users thereby distinguishing it and making it a unique app from other iOS apps. Apart from this there is a very interesting tool named Appium about which I am going to cover in my next blog. It is related to identification of identifiers.